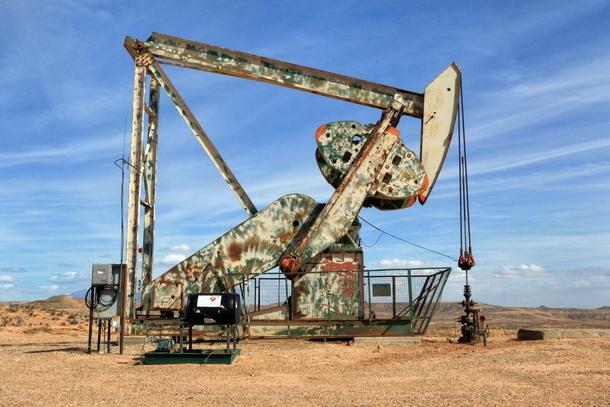 An oil derrick on the Navajo Nation in San Juan County, Utah. The Indian Tribal Energy Development and Self-Determination Act Amendments would reduce federal regulation on contracts and leases on reservations. It also directs the Interior and Energy departments to help tribes with technical assistance, planning and management. The bill, approved by the U.S. House Monday, would allow the Navajo Nation to manage mineral leases for 75 years without review from the Interior Secretary. The Bureau of Indian Affairs currently approves all energy development projects on tribal lands. It comes as Navajo officials look to broaden the tribe’s energy portfolio ahead of the planned 2019 closure of the Navajo Generating Station. Coal royalties from the Kayenta Mine that supplies the plant account for up to 30 percent of Navajo government revenue. The Navajo Nation has broken ground on three dozen modular homes in an area where development has been off limits for decades. KNAU’s Ryan Heinsius reports, it’s an effort by tribal officials to revive the economy on more than 1.5 million acres known as the Former Bennett Freeze. Tribal leaders backed a House bill Wednesday that would give tribes the ability to control more of their land, instead of having to get federal approval for virtually any use.